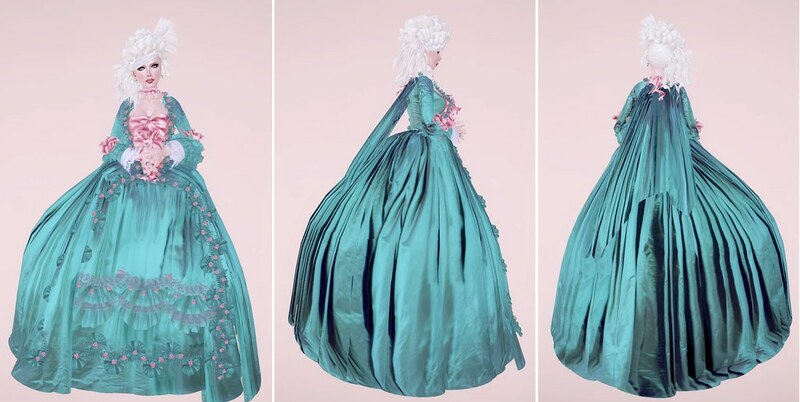 Naergilien Wunderlich, the very talented designer behind Wunderlich's historical clothing has just released the Marquise de Pompadour gown. According to Naergilien, she modeled this gown after the 'Teal' portrait of the Marquise by Boucher. I'm totally blown away by this gown because the accuracy and details are amazing and so true to the inspiration and Rococo time period. Each Marquise de Pompadour gown includes matching sculpted shoes and two types of chest decorations – without and without neck ribbon. Shown above is the Marquise de Pompadour gown in Rose Cream, Teal, and Pink. Tp to Wunderlich's main shop for these gowns and much, much more!